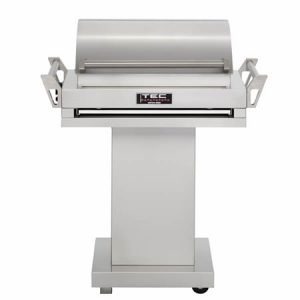 The TEC Sterling Patio FR Pedestal Infrared Gas Grill – 44” can produce up 60,000 BTUs giving you extraordinary cooking power. The 592 sq. in. 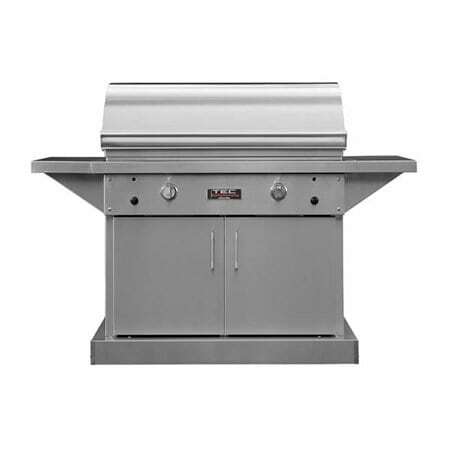 cooking surface allows you to cook 16 burgers at once making this the ideal grill for backyard entertaining. 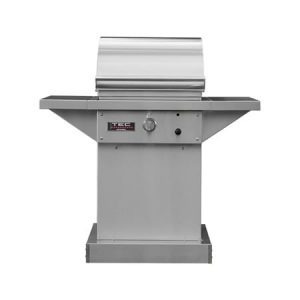 TEC grills feature infrared burner technology which ensures that your grill is heated evenly preventing hot and cold spots. 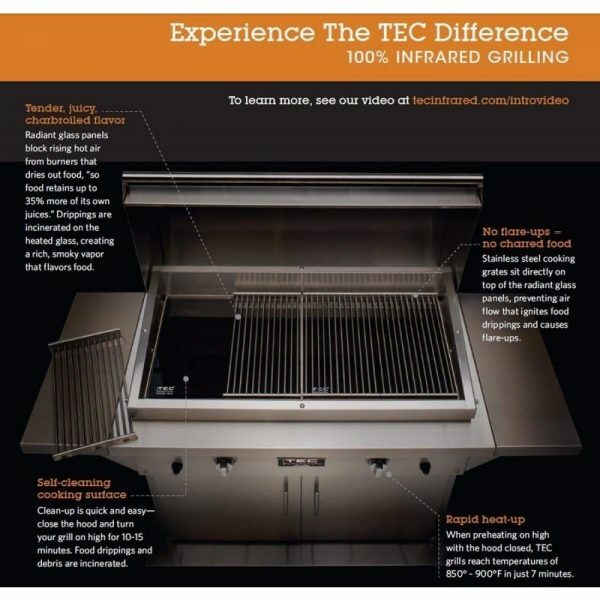 The radiant glass panels incinerates food drippings which will re-flavor your food while preventing flare ups from charring your food. 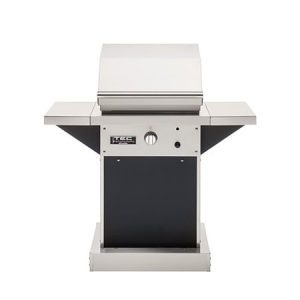 The TEC Sterling Patio FR Pedestal Infrared Gas Grill – 44”offers you extra storage space under your grill and side shelves allowing you to have everything you need for a cookout easily within reach. 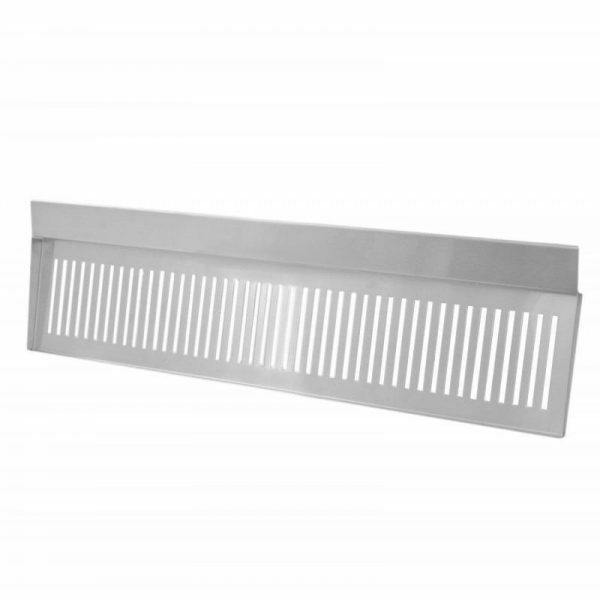 This grill is hand-crafted in the USA from 304 stainless steel. This product is backed by a limited lifetime warranty which will give you peace of mind. 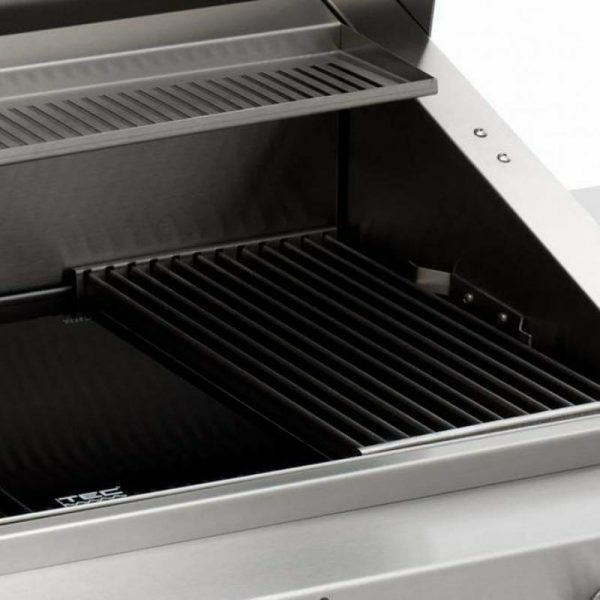 The radiant glass panels give you cooking versatility as they allow you to remove the cooking grates creating an efficient stove top for you to cook on. 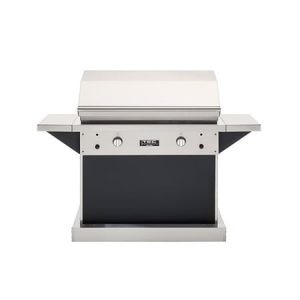 The style and cooking flexibility of this grill will make it the pride of your outdoor kitchen.